Congratulations to Ashton Woods who just received three American Residential Design Awards (ARDA) at the American Institute of Building Design’s (AIBD) premier award program held on August 27 at the Colorado Governor’s Mansion in Denver, Colorado. Congratulations to Ashton Woods who just received three American Residential Design Awards (ARDA) at the American Institute of Building Design’s (AIBD) premier award program held on August 27 at the Colorado Governor’s Mansion in Denver, Colorado. The ARDA awards recognize design excellence in the residential building industry, spotlighting some of the most creative and innovative designers, builders, architects and interior designers throughout the United States. 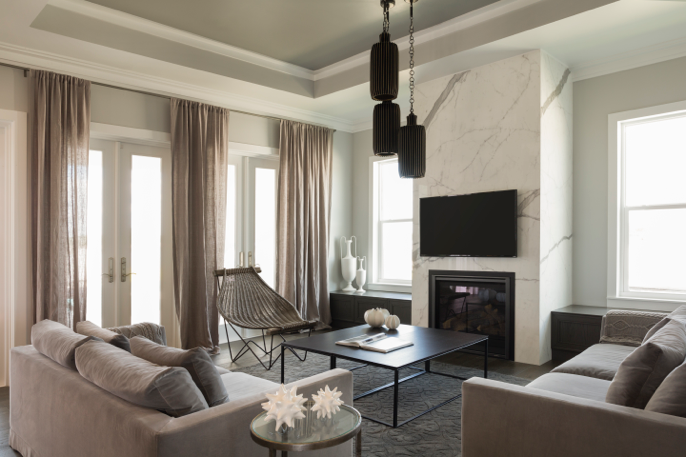 Ashton Woods received a Grand ARDA for its Capri model in the Model Homes category. The Capri is a 2,294-square-foot model in the Egret Landing neighborhood of Naples Reserve, in South Naples. Being developed by iStar, this 688-acre water-centric community features traditional Floridian architecture with a coastal Italian twist, the Capri was designed in a linear manner — similar to an Italian villa — with two axis connecting the living spaces of the home, keeping the remaining private spaces more secluded. iStar has completed opened the community last year featuring a dramatic gated entry with elevated cobblestone bridge. The newest addition, the Island Club will be unveiled next month. The expansive facility overlooks a 125-acre recreational lake and features multiple resort pools, a poolside tiki bar, fire pits and volleyball court. Latitudes café and the community’s new welcome center will also be unveiled. The center’s architecture is evocative of Key West with its palette of white, turquoise and coral, and a wraparound porch overlooking the lake and floating docks, home to the Tranquility, a new Duffy boat on hand for resident use. Ashton Woods is one of the largest private homebuilding companies, blazing new trails in design and personalization to build homes as unique as the people who live in them. Consistently recognized as one of the most trusted builders in America according to the Lifestory Research America’s Most Trusted Builder Study, Ashton Woods’ collaborative approach is a key driver of its best-in-class customer satisfaction scores. Naples Reserve is planned for 1,154 lakefront single-family homes built by Southwest Florida’s premier homebuilders and priced from the $200s to more than $1.5 million. The community is located off U.S. 41, 2 miles southeast of the Collier Boulevard/CR 951 intersection and 10 minutes from I-75, Exit 101. Visit the Welcome Center at 14891 Naples Reserve Circle or for more information on Ashton Woods Homes at Naples Reserve click here.